21 May Is having a househelp illegal in Nigeria? I have a houseboy/girl, am I breaking the law? There is currently no law in Nigeria specifically regulating domestic staff. However there are a few things you need to be aware of. Firstly, how old is your houseboy/girl? If s/he is less than 18 years old, then the short answer is that you are breaking the law (specifically Section 28(1)(d) of the Child Rights Act). By law children are not supposed to be ‘employed as domestic help outside (their) home’…the penalty for this is a fine not exceeding N50,000 or imprisonment for a term of 5 years or to both such fine and imprisonment. Now, because the issue of underage domestic help is so rampant (I’m sure you know at least 2 or 3 families who have underage domestic workers), it is unlikely that you will be arrested for breaching this law, but please be aware that you are still breaking the law and there are potential liabilities that may arise. The law was created to protect children, and the potential of being arrested should not be your main concern, your concern should be how to ensure that the boy/girl working for you isn’t being exploited. 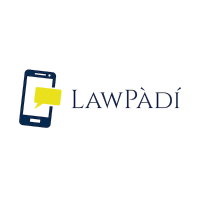 Our advice at LawPadi is this- if you know you are breaking the law, then take steps to rectify it. There are organizations which can give you advice on how to deal with domestic staff properly, and can talk you through how you can regularize your position legally.